Take charge of your life! Shift out of the doldrums of existence and step into living your life in the sheer joyous state of Happiness. We are a group of devoted and passionate people whose aim is assisting others to transform their lives into a state of empowered and joyful living. We offer a wide range of classes and retreats that allow you to dig deep and clear core issues to awaken your birthright of authentic being. We believe in a holistic approach to healing, focusing on all body systems, the physical, mental, emotional, and spiritual, for a whole, balanced, and integrated state of wellness. 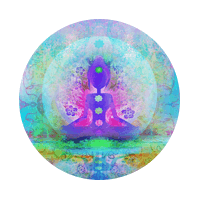 We are dedicated to creating spiritual community honoring the vast gifts that we all share in supporting global change and exploring the mysteries of this amazing life. Our deep love of transformation and healing is evident in the dedication to the education of holistic healing for the general public as well as offering and partaking in community projects. We invite you to come, explore, be nurtured, and co-create your new way of living, healing and being of service from an exuberant, joyful and playful state. This training is designed for both the healing practitioner and those curious to delve into neuroplasticity for themselves. The depth of understanding how our brains work has taken great leaps forward over the past 10 years. We can literally re-wire our brains by forming new connections and weakening old ones. When we learn a new skill or create a new habit/pattern this is a form of neuroplasticity. We also use neuroplasticity to help heal the brain from issues such as the effects of a stroke, brain injury, birth abnormalities, helping to overcome challenges from autism, ADD, ADHD and learning disabilities. We also can incorporate this in shifting out of depression, healing addictions and reversing obsessive compulsive patterns. Basic techniques in the practice of neuropsychology have great results. These techniques combined with the powerful energetic transmission you will receive during this 3-day training catapults this work from powerful to phenomenal. We welcome you to join us. All Brain Soulutions classes in 2019 are all international - Germany, France, Ireland and Malaysia! Immerse yourself in the magic of Ireland with Brook on this unique adventure. We have developed this itinerary with her students in mind on where to get some of the most powerful downloads from megalithic sites, sacred wells and power points from both the monastic and pagan traditions that are sacred in this land. This retreat will be deeply healing and so much craic! (fun in Gaelic) We are limiting both sections of this tour to 18 people so that we move effortlessly and have a deeply intimate connection with the land, group and all that will be shared from Brook and the guides. We will also discuss the history of this precious island, delving into the music, dance and of course enjoying a pint or two along the way. We welcome you to come, play and experience the magic of Ireland with Brook! Come for a beautiful evening of healing, meditation, and teachings based on your needs as an individual and as a community. This event is a wonderful introduction to working with Brook, as she blends the energies of all exemplifying true community. In doing so, she illuminates challenges and ideals within the consciousness of each individual, showing how these can affect our daily life, allowing us to move in a more expansive and awakened state. We also offer video recordings of Brook's 2016 series in our shop for purchase under the name A-Ha! Moments with Brook. Being with Brook is an extraordinary blessing. The sheer magnitude of love that flows from her spirit to everything around her is indescribable. I can speak volumes about the impeccability of her teachings, her focus, clarity and the way she is able to empower her students on every level with phenomenal love and great, great joy. I love Brook. I love studying with Brook and truthfully, I would happily travel to the ends of the earth and back simply to sit with her and drink tea. Just the thought makes my heart and soul sing. Brook Still is the single most powerful healer I have ever known. She’s a force of nature. She has healed me on more levels than I can say, so many different times. I don’t use the word “miracle” lightly, but she is one. Words to describe the energy I’ve felt from her sessions: impeccable, transformational, majestic, incredible, healing, powerful, life-changing, pure love. Run, don’t walk, to work with her. I want to start with thanking Brook for holding such powerful space. Coming from such an open place of compassion and non-judgment allows for deep-seated healing to occur. I was able to reach places I believed impossible to touch. It changes how one identifies with his or herself to such a higher state of being. If a person is searching for an experience to really step into spiritual responsibility and integrity for his or her life, then let the healing begin. With deep, deep gratitude. I just finished Clearing the Core retreat and I have never experienced anything like this before in my life. I am so happy I didn’t miss this opportunity! Thank you Brook for the most powerful, accurate and profound healing I’ve ever received. Thank you for seeing me to the core of my existence. Thank you for your immense heart and your beautiful, gleaming, pure and just so divine light. For me, this was definitely a life changing experience and I cannot recommend it enough. Brook Still is an amazing healer. She exudes pure love. Spending any amount of time with Brook allows you to let go of energies that aren’t serving you and move forward. I met her at her “Expanding Your Awareness” retreat last year. It changed my life. Brook is able to see though patterns and past emotional traumas that hold you back and release them. She is one of the most powerful healers I have ever met. She is truly blessed with amazing gifts that she is thankfully willing to share. I have recommended her to friends that feel the same about her as I do and will continue to do so. Her light is undeniably bright. From the moment I met Brook, and even before that, I knew that I would be a lifelong student. The depth of her knowledge, her absolute integrity, and commitment to being the Vessel of Light to the world continues to model for me the way we are all supposed to be in service to consciousness and the human collective. Brook has to be one of the most vibrant humans I know. She really is bigger then her physical presence. Her energy is one of constant happiness and joy. She sees the positive in everything. Brook for me is the epitome of the consummate teacher. This was for me a phenomenal experience of inner-transformation guided by Brook, an exceptional master healer who enabled me to get to the core of a past trauma that I have long buried and helped me to face, shift and unhinge blocked energies/memories; allowing a deep healing and release that resulted in me feeling entirely lighter and freer, yet fuller in the awareness and acceptance of my being. My utmost gratitude to Brook for her work; and in employing the greatest care and the gentlest of support throughout the whole process. Truly life-changing! Learning with Brook has been integral to my quest for spiritual development and understanding, providing bridges of insight and evolution that have helped illuminate my unique path in this marvelous life. It is a gift to be in the presence of such a great soul whose extraordinary compassion, love and support have helped me and so many others in such transformative ways. Thank you Brook! Brook is one of the most illuminating brilliant beings I have ever had the pleasure of being with. Her teachings are from the heart. She has a way of pinpointing and going straight to the center of the problem. 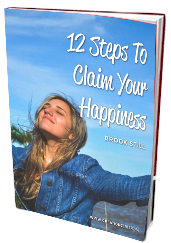 Brook empowers you to know yourself and free yourself from pain, suffering, sadness and self-limiting beliefs. She is a gift we all can treasure.